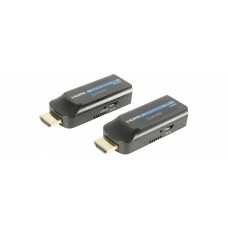 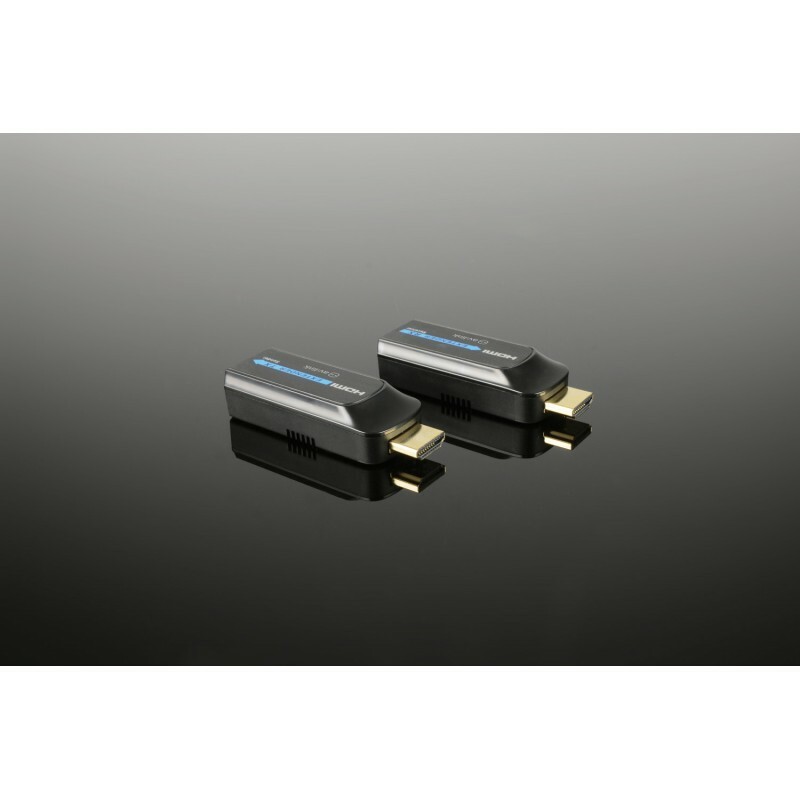 A compact and convenient kit to send HDMI signals over distances of up to 50m via network cable. 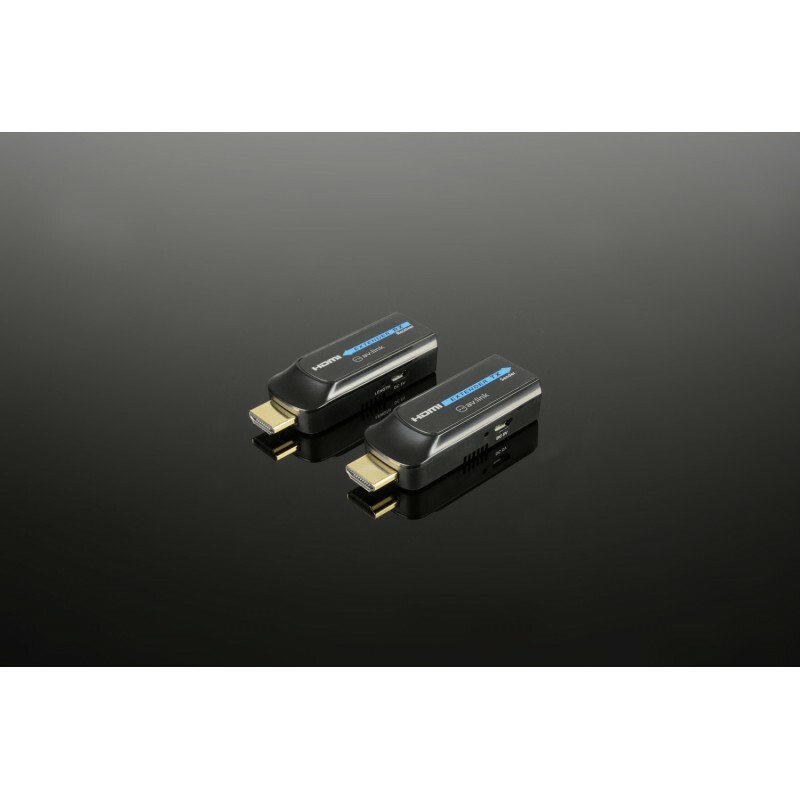 With support for video resolutions of up to 1080p at 60Hz, this kit provides an economical and space-saving alternative to standard HDMI cable; ideal for portability as well as installations. 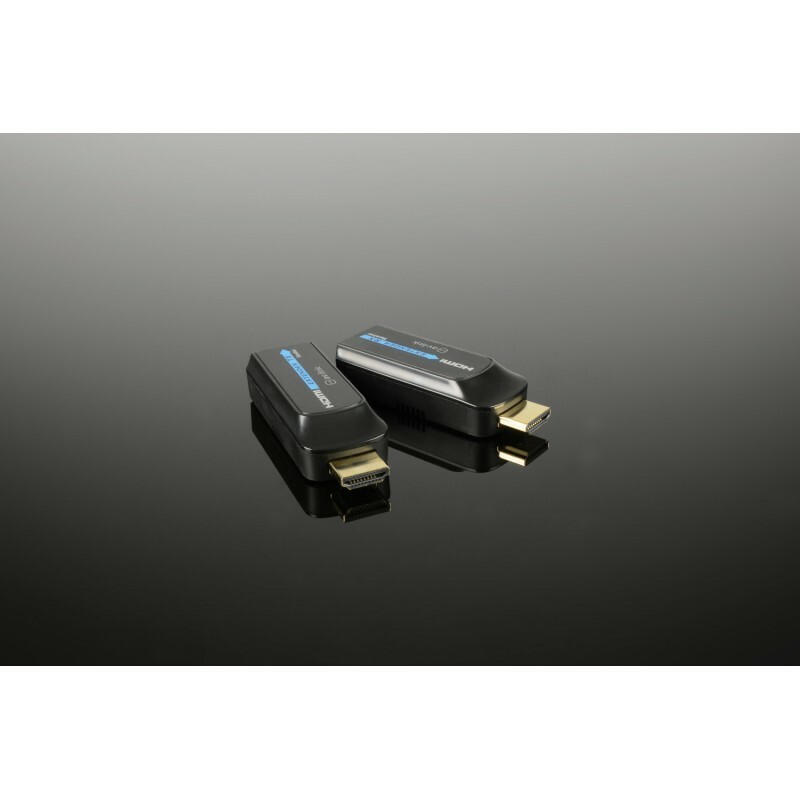 The kit contains USB-powered dongle-style transmitter and receiver units, to be joined with cat6/6a/7 STP/FTP cable. 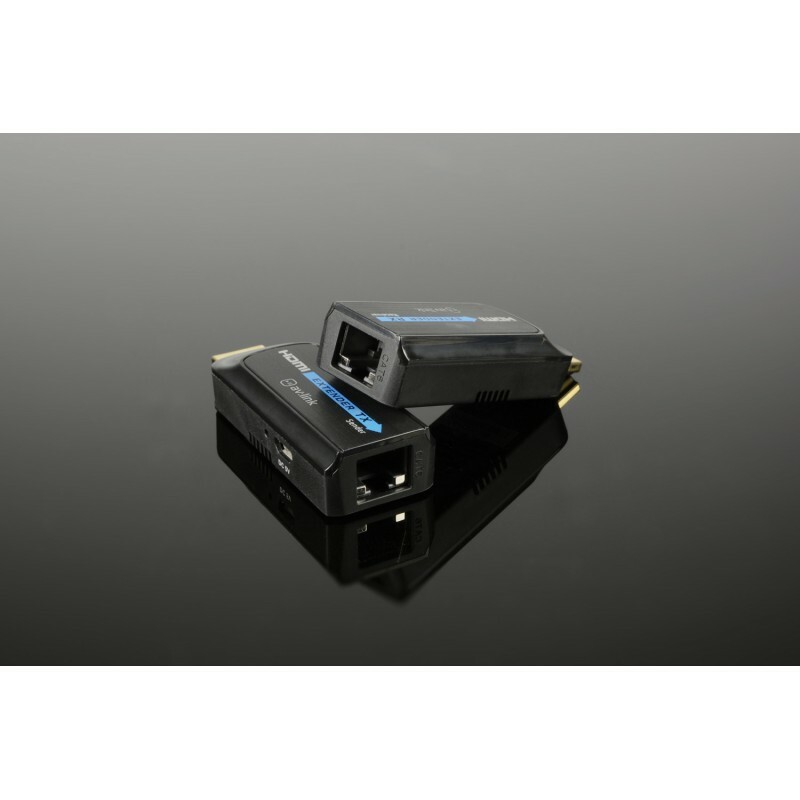 Depending on signal strength and cable length, the receiver may operate solely from power in the transmitted signal.